Ore no Imouto ga Konna ni Kawaii Wake ga Nai Wallpaper: Yes! You! Minitokyo »	Ore no Imouto ga Konna ni Kawaii Wake ga Nai Wallpapers » Ore no Imouto ga Konna ni Kawaii Wake ga Nai Wallpaper: Yes! You! Kirino surely is adorable in your presentation! It's well done! Nothing more to say except, you've done really well with this. Still do not see the anime, but I've always found very good the walls that inspired the series. P. S. That you do very good, very "happy"
Impressive work! It's simply beautiful! Thanks! What a cute Wallp. 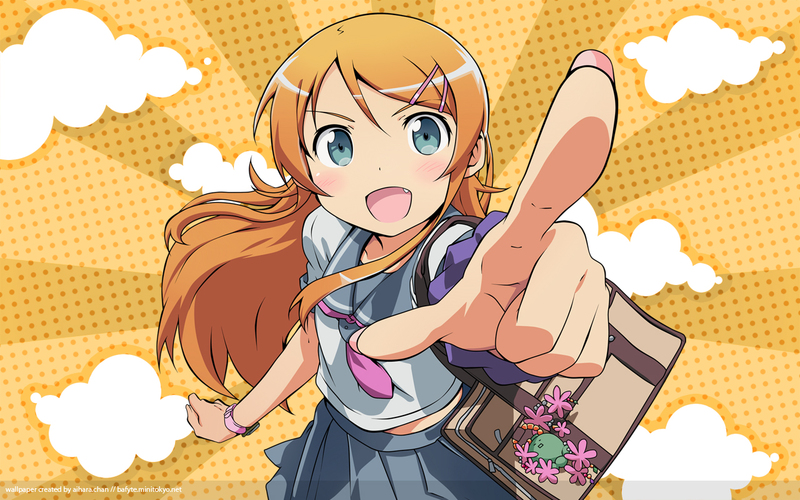 of kirino-chan! Honestly this has become a favorite of mine not only the anime but seriously the art of this itself, the classicness is super nice. But ya im not too good at describing, but i love it! :) keep it up!